The images alone are a humbling and inspiring for me, just because I see so many familiar faces – friends and artists that have been personal role models for my work, including in moments of personal struggle as an artist and writer. The idea, say Female Pressure, was partly a response to an extensive commentary by Björk. In an interview with Pitchfork provocatively titled “The Invisible Woman,” Björk speaks at length about authorship as a producer. She talks about her new record, too; the whole story is a must-read. But the question of Björk and credit – her, even with superstar status, unable to be properly acknowledged – must have struck a nerve, because it got a lot of traction online in the weeks since. Simply put, Björk’s comments got attention because of widespread frustration with press and fans assuming by default that women aren’t actually doing production. And surely that’s an absurdly Medieval notion to survive in 2015. Björk’s thoughtful consideration of why this could be, though, went further (whereas the rest of us, myself included, might have stopped with “WTF?!”). 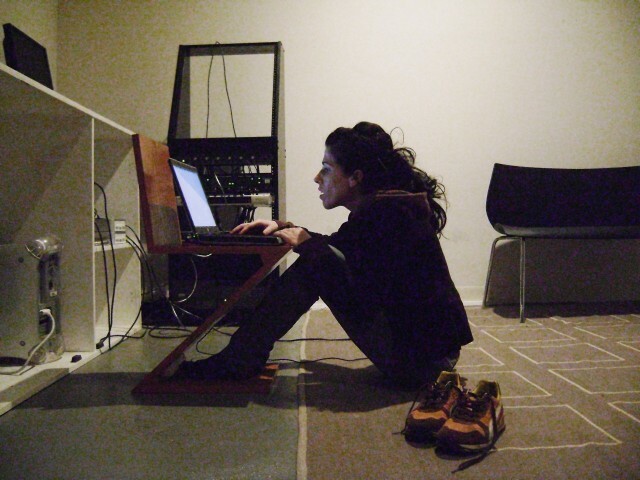 Well, whether or not Björk was featured in enough of these sorts of images working in the studio, others have been. 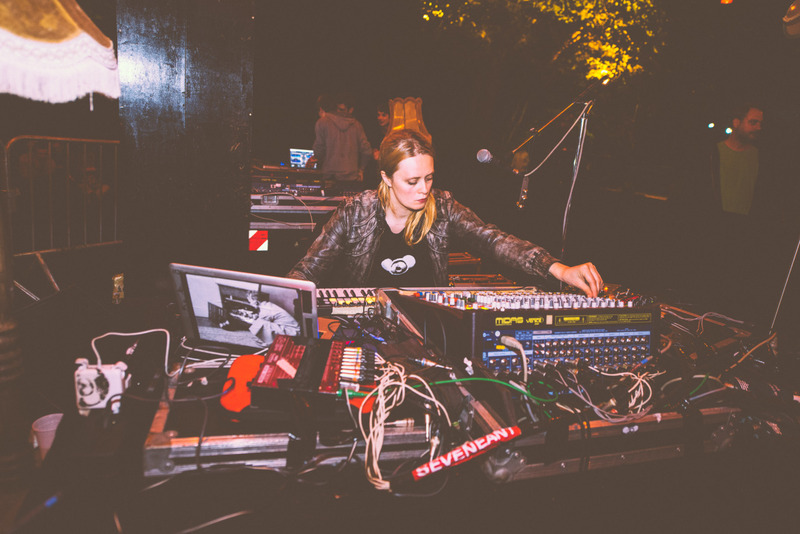 Female Pressure have unleashed a torrent of images of women working in electronic music, whether in studio production or DJing or live performance. I spend 80% of the writing process of my albums on my own. I write the melodies. I’m by the computer. I edit a lot. That for me is very solitary. I don’t want to be photographed when I’m doing that. I don’t invite people around. Now, just because Björk doesn’t want you snapping photos while she tries to produce a record shouldn’t mean that everyone assumes someone else did the production work for her. But it does underline a separate point: we have to be cautious and talk to artists as individuals. I hope that we avoid thrusting any kind of obligation on any artist, least of all an added obligation because of their gender identity. Of course, that said, artist reluctance is clearly not the only reason these images aren’t more widespread. In everything from the media to marketing in the tech end of the musical instruments industry, there’s an obvious absence of pictures of women engaged with tools. It’s not the only problem, but it’s a big one. And it’s frankly puzzling if there’s ever a failure to do this, particularly if your job is marketing tools. I believe this problem begins with an approach to music generally. The media too often shies away from technology, from discussion of craft, from any glimpse of discussion that might be technical in regards to music or tools. There is a fear of music practitioners as specialists, even before getting into gender politics. As an advocate of music education and technology education, I hope I can do my duty even to begin to scratch the surface of those problems. When that deficiency hits gender identity biases, things only get worse. 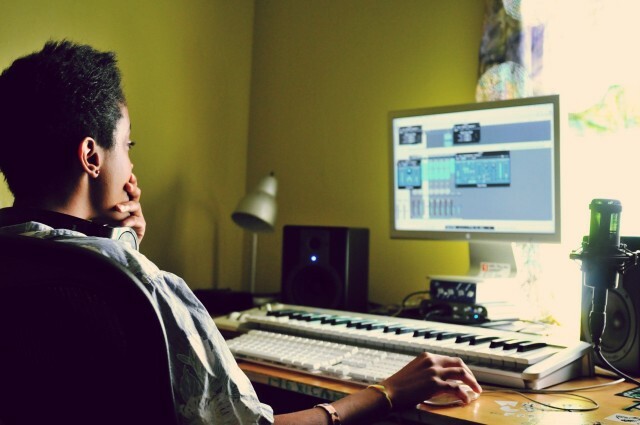 If artists in general are meant to present themselves as magical and flawlessly appealing public figures, divorced from discussions of what it means to make music and to use music technology, then women are under still-greater pressures. As with so many issues around gender identity, eventually, everyone loses. Male and female artists are under enormous pressures to market themselves according to existing norms. This is why ultimately we have to find avenues to allow artists to be as individual as they wish, to present portraits of who they are and what they actually do. For Björk’s part, the effort is highlighted on her Twitter account. 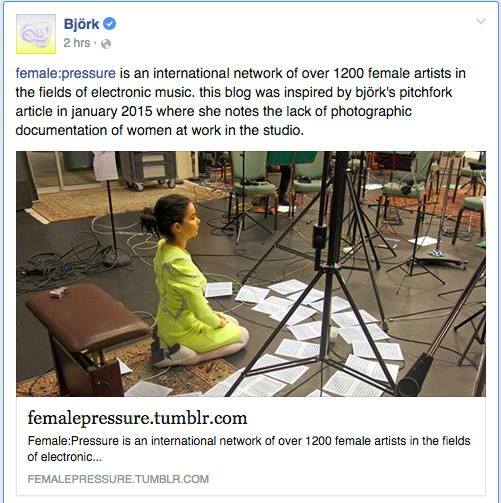 Make no mistake, then: what female pressure is fighting for, what Björk is suggesting, can benefit everyone. We all need a certain degree of solitude and privacy. 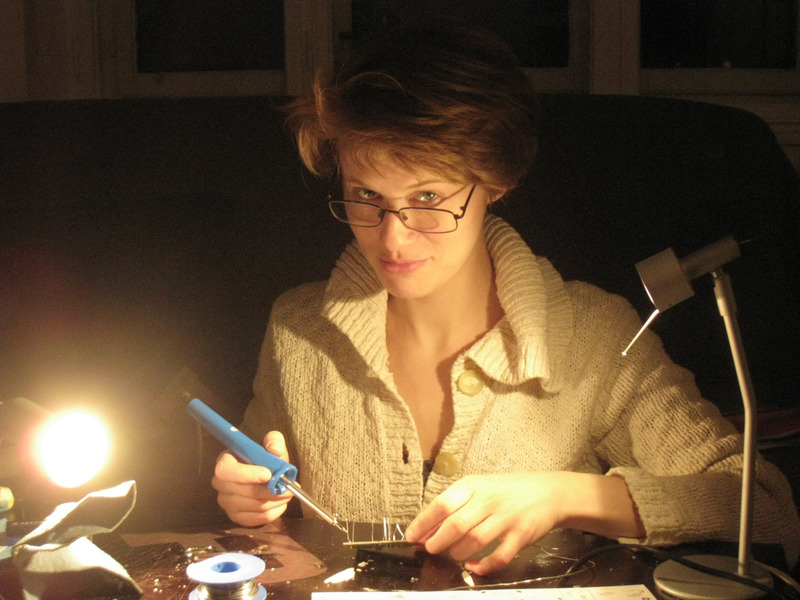 But I hope that we can find those opportunities where we do feel comfortable inviting others into our more personal process, including our relationship with our tools. And if we really care about music as something human beings make, we should give artists who can give those invitation the space they need to share. This means really making process visible: not fetishizing music technology, but understanding it as something personal and meaningful. It means facing it head-on, not being afraid of the tools, the tool makers, or the tool users. I know plenty of artists, and certainly plenty of female artists, who have no desire whatsoever to be invisible. If they’re open enough to share, let’s accept and encourage that hospitality. From top: Dasha Rush, Syd Tha Kyd, Canned Fit, Cecilia Castro.